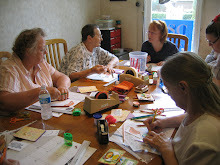 There are two guest spots available for the Journal Jam on October 19. 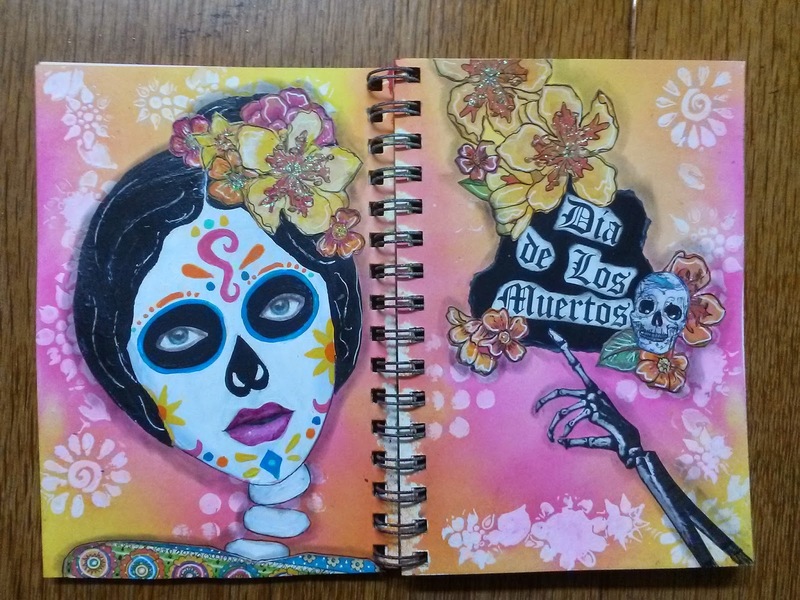 If youare interested in joining the fun in October (with a great "Day of the Dead" project, please try to contact me by Sunday, October 12 or Terry Peattie (tapasvini@windstream.net) by October 17. Thanks! Tonight the real Craziness begins. This will be the largest group ever and I am soooo excited! Whoop whoop!! 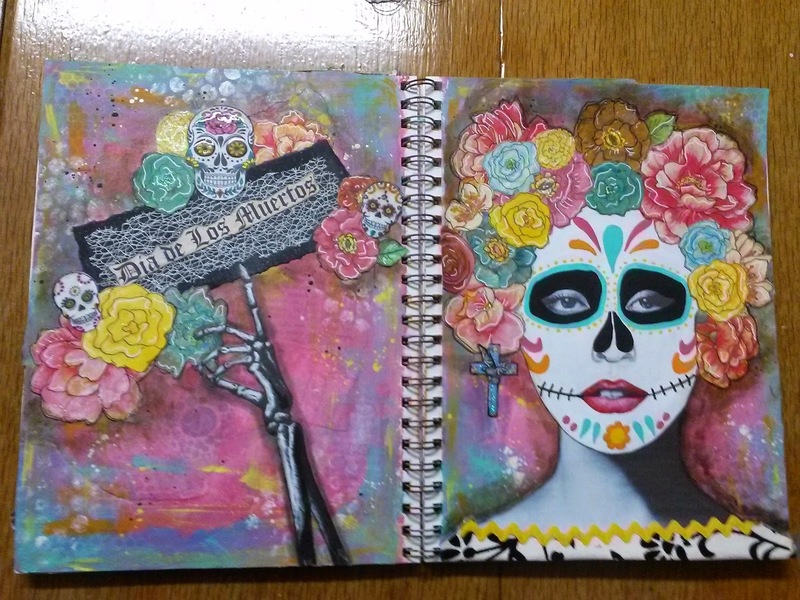 Here are two versions of our upcoming Day of the Dead project on Oct. 19. Besides making a colorful page, we’ll learn one way of working with and altering a magazine page. I hope you will go wild and use this paintover technique to alter some other faces in the future! I’ll show you an easy way of drawing your own color-coordinated ephemera flowers to use for paper crafts too. We’ll be using Dylusions Spray Inks again for the background, so dress accordingly! I have copies made for you (either size journal) of good faces for altering, and have all other things you’ll need. If anything, you could check your stash for paper or wrapping paper with gaudy flowers to use for decoration on the pages, but I will have a variety on hand.